We are service for water Pumps pvt. 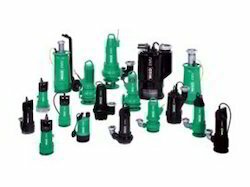 Ltd.
repair, spares & servicing of pumps. We assure that out organisation will offer you the best service which will include both testing and transportation facilities. We are highly appreciated in the market for our Water Pump Repairing Services. These services are conducted by our well-trained professionals by making use of high-grade spare parts, obtained from the authorized vendors of the market. Offered services are well-known for their timely execution and cost-effective prices. Our company has achieved laurels in providing Solar Water Pumping System Repair Service. We serve mainly in West Bengal. Backed by our skilled professionals, we are involved in providing Water Pump Repairing Service. Our company is a master in providing Water Pump Maintenance Service. In order to keep pace with never ending demands of the customers, our company is instrumental in offering Water Pump Repairing Service. Backed by the vast industrial experience, we are engaged in offering a qualitative range of Dewatering Pump Repairing Service. Provided services executed using modern technologies. Apart from this, our valued clients can avail from us these repairing services as per their requirement within promised time limit. Backed by the vast industrial experience, we are engaged in offering a qualitative range of Electrical Water Pump Repairing Service. Provided services executed using modern technologies. Our valued patrons can avail these services as per their requirement within promised time frame.